The market has always been vital to farmers. In olden times, the market was a tangible space affording the opportunity to exchange material goods for money so that farmers could accumulate wealth rather than merely subsist. Nowadays, the market refers more to the abstract flows of capital bought and sold by traders around the world. However, certain financial products remain rooted in the reality of agriculture, with agricultural commodity derivatives being a case in point. Harvest SA asked Chris Sturgess, Director: Commodities & Key Client Management at the Johannesburg Stock Exchange, to share his insights on the matter. What JSE commodity derivative products were most active in 2016? White maize, yellow maize and wheat were certainly most active in terms of the grain products. Then, because we have also diversified and extended into a number of other cash commodities, we saw activity with Brent and WTI. In terms of our activities in 2016, we were 2% down on our previous record of 3.5 million contracts, so in total the division saw just over 3.4 million contracts/trades. We were also able to leverage our diesel contract to use more volumes. We saw that wheat trading activity has declined significantly in 2016 vs 2015, despite a great harvest – what are your reasons for this? If you look at the numbers, we were 18% down on wheat volumes, and a lot of that can be attributed to the uncertainty around the future of the import tariffs for wheat. 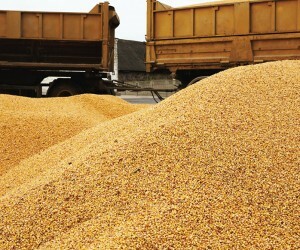 The wheat industry has seen a significant increase in the tariff to just over R1 500 a ton, and so that increase in tariffs did also resulted in fewer end buyers, fewer millers actively using the contract to hedge because the tariff now was becoming a larger percentage of the overall wheat price. This certainly dampened the volume of trading activities, but also the uncertainty around the tariffs going forward, with an ongoing public consultation process that hasn’t yielded any clarity, a number of players have not taken the hedging. National Treasury has indicated that we should see finality on the way forward before the end of quarter one this year, so we’re eagerly awaiting that. Looking at the wheat market and price, from the middle of last year we were trading at R5 100 a ton, but now we’re just over R3 000 a ton. This drastic fall is not just attributed to uncertainty around the tariff – clearly it’s also a function of the exchange rates strengthening quite a bit. Then, the global wheat stock has remained high, which has certainly removed pressure from the market because we’re sitting with a global surplus at the moment. In fact, the global supply and demand dynamic is very balanced: unless you find another new market where there’s a definite increase in demand for wheat, you’re probably looking at these levels staying the same. South Africa had one of its better years in terms of local production for wheat, with 1.8 million tons produced, so it’s disappointing that even a record crop didn’t lead to an increase in trading activity at all. 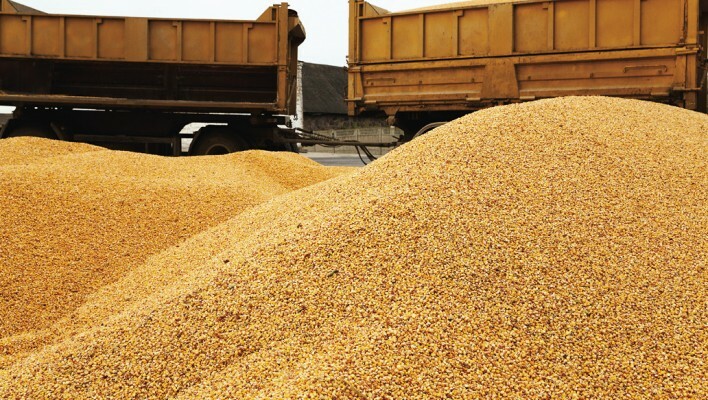 Does the JSE allow imported grain to be delivered in completion of a futures contract? Last year in agriculture there was a lot of focus on the impact of the drought. For the first time, we saw South Africa importing white maize on a large scale from Mexico and now some US white maize. Important here is the role of the JSE derivative contract. It’s there for price risk management, but price convergence is important: when a contract gets to its spot, to expiry, it needs to reflect what’s happening in the market. Probably in the early 2000s, the JSE allowed for foreign product to be delivered, provided it met local grading standards, just to make sure that the local market can’t be cornered – in other words, if you are a large supplier, you could buy a large percentage of the market, so sellers would have to deliver on those contracts, and if there wasn’t product to deliver, you could basically hold the sellers to ransom. It’s about maintaining the integrity of that market, obviously not as the first port of call, because it’s always expensive to do that, but to allow for an exit should the sellers not have local product to deliver. This brings back the reality that ultimately us in soft commodities we’re always going to be reliant on the weather. Fortunately, we have seen good summer rains, there’s a lot of enthusiasm and excitement for the coming season. What new products can we expect from the commodity derivatives team in 2017? Certainly it’s going to be an exciting year. We diversified last year by introducing a one-ton beef carcass contract. This year we have planned to introduce a feeder calf contract. These are all cash-settled to allow players who are exposed to young calves to be able to market them and hedge their prices. We’re also working on a lamb carcass, and we have a cash settled wool contract. Both contracts should be up and running soon. Then we’re also exploring a deliverable diesel contract, which will enable not only the logistics players but anyone who is exposed to the volatility of the diesel price to access and take physical delivery of diesel. The products that we launched this month are a white maize contract and a soya bean crush contract. This is a product that allows the soya bean crushing plants to be able to hedge their margin, so that with one product, you’re able to lock in a price for your soya bean as well as your soya meal and oil. This contract has now gone live. We’ve always been able to provide products to farmers who are involved in the grain sector, and now for the first time we will also be able to roll out products should appeal to beef, lamb and wool producers. It’s the first time that there is a whole new audience out there will be exposed to using futurist instruments to better manage prices. These are products that can only help remove some of the prior anxiety farmers feel within their growing season. We see that you are advertising the Zambian derivative contracts. Tell us more and what does this mean for regional co-operation? For South Africa and Zambia, this will be the first initiative where we roll out derivative contracts on Zambian white maize, Zambian wheat and Zambian soya beans. The two countries have been working closely together for a number of years now to introduce these derivative products on the JSE platform, so we’re not reinventing or creating another exchange, but rather using the infrastructure that we have in South Africa to enable access for Zambian clients as well as regional clients. Anyone who is interested in trading Zambian white maize into Zimbabwe or soya beans will now be able to hedge the price risk of the Zambian commodity on the same JSE platform. That also comes with the same guarantees that the JSE clearing house puts in place if you trade in South African product. We’ve been working closely with the South African Reserve Bank, as well the Zambian Commodity Exchange based in Lusaka. If we’re able to increase Zambian production of grain or maize, hopefully it will also improve food security for the region. Remind us how we could access the JSE commodity derivative products with the focus on managing price risk? The sole objective of the commodity derivative division of the JSE is around price risk management tools. To access the products, you would need to sign up as a client with a proved JSE commodities member. You can then decide whether to use these instruments for hedging or for speculation. Obviously speculation has a different risk profile, but as long as you are aware of the different risks, there’s nothing preventing you from also speculating in these instruments. At the end of the day, though, the primary focus of a derivative instrument is to remove price risk. Of course, we should not fool ourselves and say that derivative instruments are there for every investor in the market place – you are advised to take a cautious approach if you’ve never traded derivatives before. The important point is to decide whether to hedge or to speculate. For example, a maize farmer might hedge to remove price risk exposure. Whatever you’re doing, make sure you also understand the cash flow impacts if the market does go against your trade and then also understand how to exit that position. In other words, if you’re going to trade with a contract, make sure there is liquidity – does this contract trade every day? – and look at the underlying activity on that specific product.